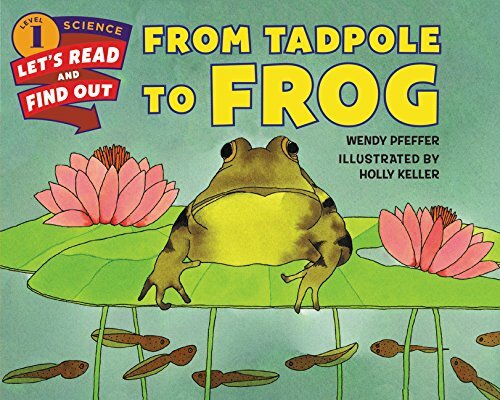 Now rebranded with a new cover look, this book includes a find out more section with an illustrated guide to identify different frog species and a map showing where bull frogs can be found throughout the United States. Both text and artwork were vetted for accuracy by Dr. Edmund Stiles, formerly professor of Biological Science at Rutgers University, and Dr. Valerie Chase, formerly of the National Aquarium in Baltimore. This is a Level 1 Let’s-Read-and-Find-Out, which means the book explores introductory concepts perfect for children in the primary grades and supports the Common Core Learning Standards and Next Generation Science Standards. Let’s-Read-and-Find-Out is the winner of the American Association for the Advancement of Science/Subaru Science Books & Films Prize for Outstanding Science Series.